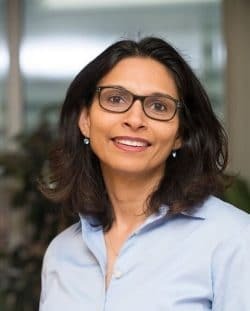 Richa Saxena, a human geneticist, uses genetics to understand the biological basis of people’s daily behavioral rhythms and sleep patterns, and to illuminate meaningful links of sleep and circadian rhythms with neurologic, psychiatric and metabolic diseases. Her goal is to apply these findings to prevent, manage or treat sleep disorders and related diseases. 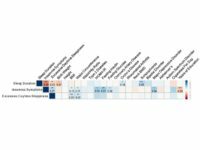 She has also contributed to understanding of the genetic basis of type 2 diabetes and preeclampsia. 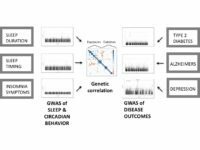 What is the genetic basis of sleep and of circadian rhythms in people? 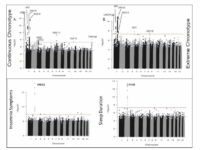 Do sleep and circadian behaviors causally contribute to specific disease outcomes? 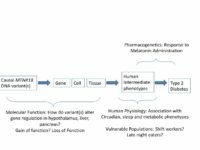 How do melatonin signaling, food timing and genetic variation interact to influence risk of type 2 diabetes? Gene Discovery. 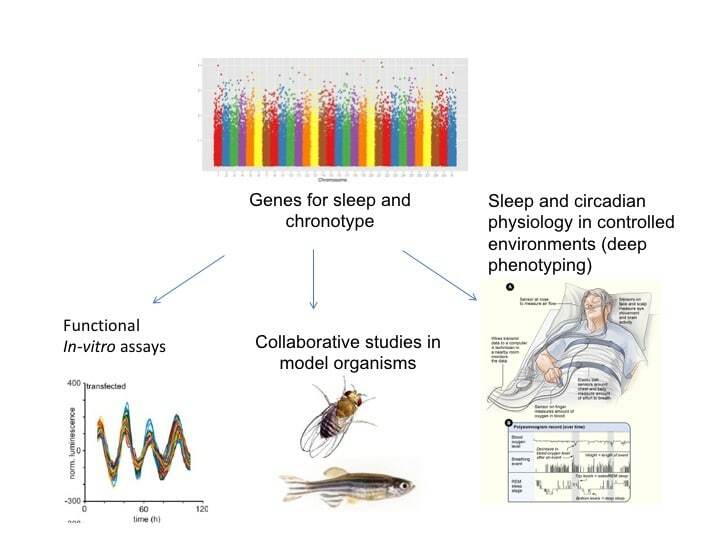 We are searching for genes underlying sleep patterns, sleep disorders and circadian rhythms (morning-lark/night owl behavior or chronotype), and performing functional studies to get biological insights into molecular mechanisms. 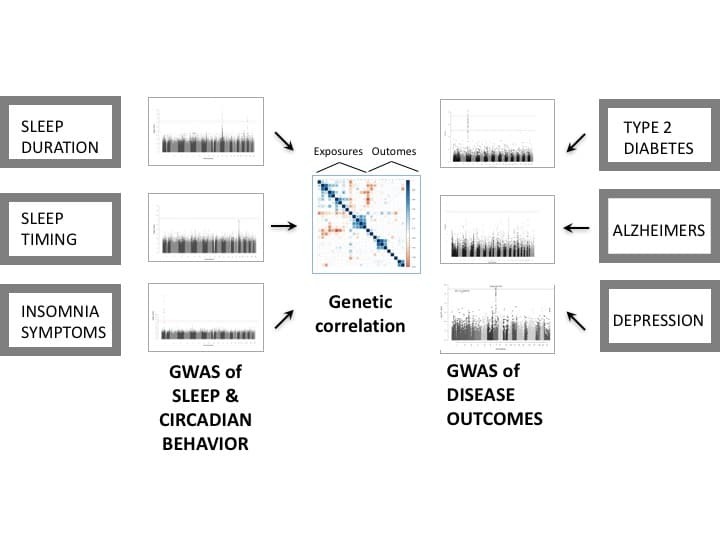 Causal genetic links of sleep and circadian rhythms to disease. Disruption of sleep patterns and daily rhythms are linked to risk of metabolic, neuropsychiatric and neurodegenerative diseases and cancer. 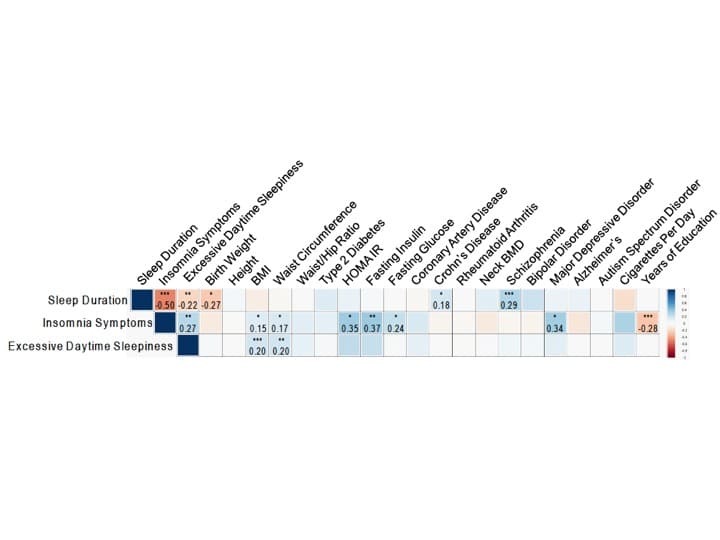 We are using genetic and Mendelian Randomization approaches to understand shared biological pathways and whether sleep or circadian disruption contribute causally to a subset of these chronic diseases. 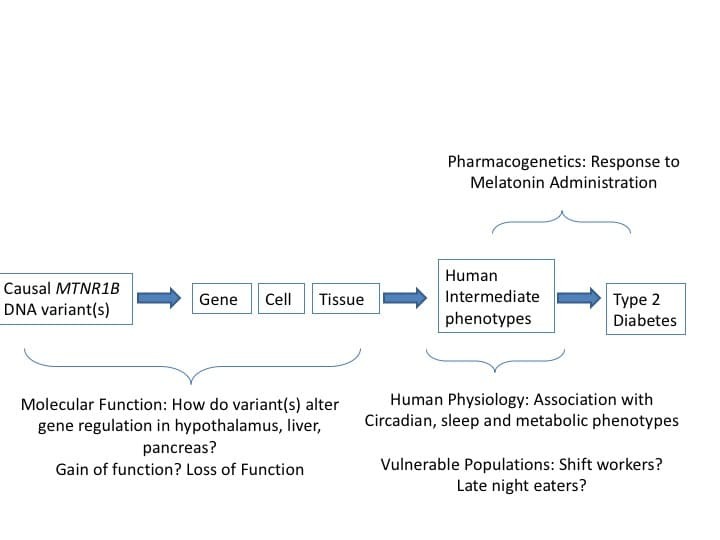 Charting a course from gene discovery to translation: type 2 diabetes-associated melatonin receptor variation. 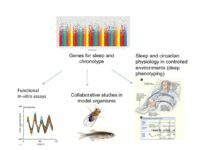 We collaborate with leading chronobiologists and nutritionists on genotype-targeted physiologic studies, in-vitro human tissue studies, and gene x environment studies in shift-workers (SHIFT) and late-night eaters (ONTIME) to investigate mechanisms linking food timing, circadian rhythms and melatonin signaling to glucose metabolism and to evaluate possible interventions. 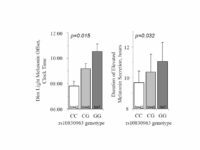 We have identified genetic differences that determine if we are night owls or larks, and differences that contribute to sleep duration and disorders such as insomnia and daytime sleepiness. 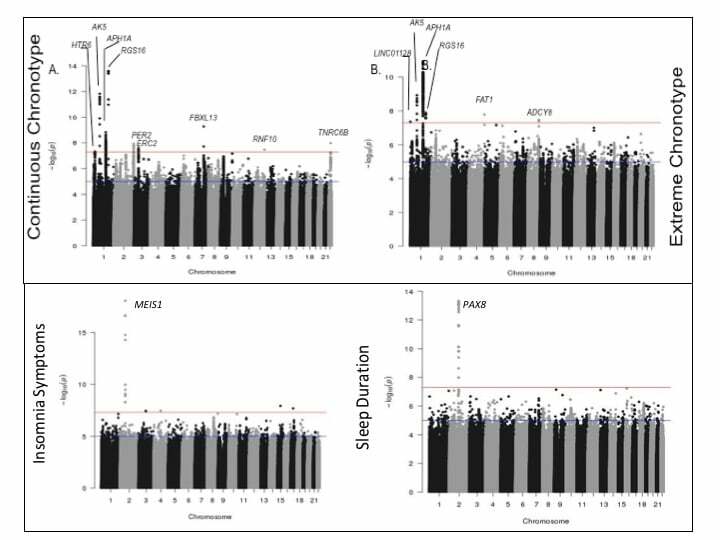 Our results suggest that both circadian rhythm and sleep traits share genes and pathways with psychiatric diseases such as schizophrenia, depression and autism, and metabolic diseases such as obesity and diabetes. 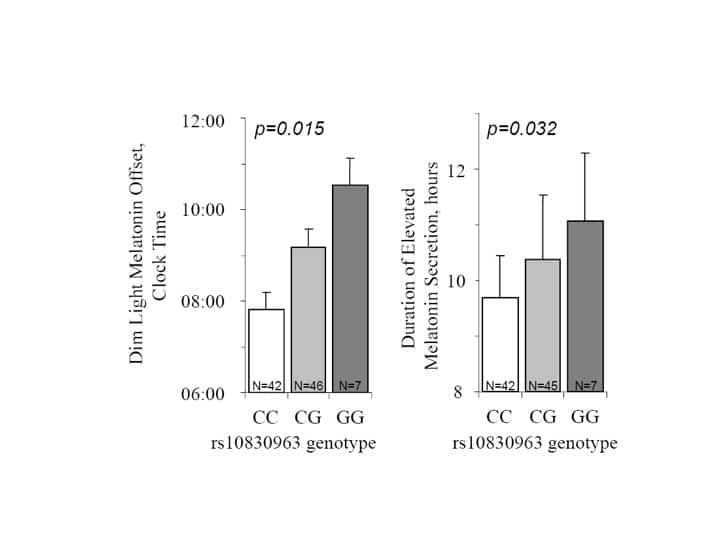 The diabetes-associated common variant in the melatonin receptor influences dynamics of melatonin secretion and impairs glucose tolerance in the presence of exogenous or endogenous melatonin.